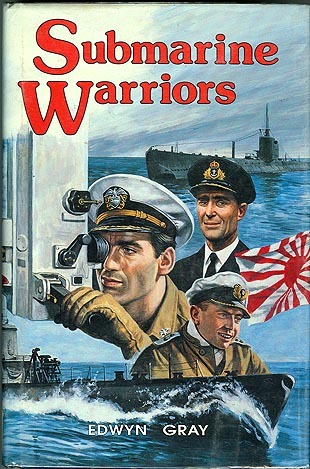 “SUBMARINE WARRIORS” By Edwyn Gray. 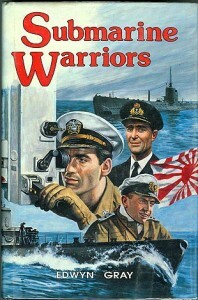 Thrilling and true tales of the men who battle in the harshest environment of all; the cold, crushing depths of the sea. 18 action-packed chapters full of real submarine stories from World War I and World War II (American, German, Japanese and British). Here are some of the submarines found in this great book: E-9 (Max Horton), U-9 (Otto Weddigen), U-29, U-32, U-139, Orzel, H.M.S. Seal, U-99 (Otto Kretchmer), I-58 (Mochitsura Hashimoto), H.M.S. Upholder (Malcolm Wanklyn), USS Growler SS-215 (Howard Gilmore), USS Wahoo SS-238 (Dudley ‘Mush’ Morton), USS Harder SS-257 (Sam Dealey), and USS Tang SS-306 (Richard O’Kane). The master submariners of all time! Rare and out-of-print, very popular! 1988 first edition Hardback with full-color dust jacket. 275 pages, 17 black and white photos and an index.